Expert Sales Rep Advice: Outsource Your Selling! 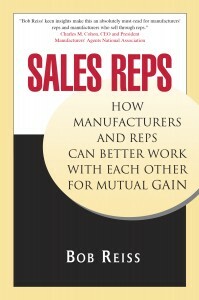 Bob Reiss, a great source of sales rep advice, is a retired successful sales rep. He now enjoys a career of “preaching the gospel” of using independent sales reps.
Bob is more than just a veteran sales rep. His work is featured in a Harvard Business Review case study. He taught in MBA programs and given many talks to business entrepreneurs. Now Bob is making a free ebook offer to all who are interested in hiring or being independent sales reps.
“In my talks over the last 30 years to Entrepreneurship MBA classes, my 14 years as a national Sales Rep and my 16 start-ups, I’ve been struck by the almost total lack of teaching of selling, without which there would be no customers. Also, the lack of emphasis in existing businesses on this vital function. This short e-book, sold on Amazon, now is offered free so you can benefit from Bob’s knowledge and insights. Scroll down the page and click on the red rectangular box, and you will immediately get your book. No sign-up or passwords required. Pass this on to those you feel can benefit from it. While on Bob’s website, check out the wealth of information in his 125+ articles about issues confronting entrepreneurs. 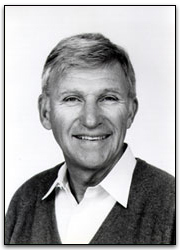 Bob Reiss was a national manufacturers’ representative for 14 years. Then he changed his business model and becoming a manufacturer who sold through manufacturers’ reps. A serial entrepreneur, he was involved in 16 start-ups. One of his companies was named to the Inc. 500 list of America’s fastest-growing companies for three years in a row. A native of Brooklyn, New York and an army veteran, he is a graduate of Columbia University and Harvard Business School. He is the author of Bootstrapping 101 — Tips to Build Your Business With Limited Cash and Free Outside Help and Sales Reps. Both books are available now on Amazon.com.